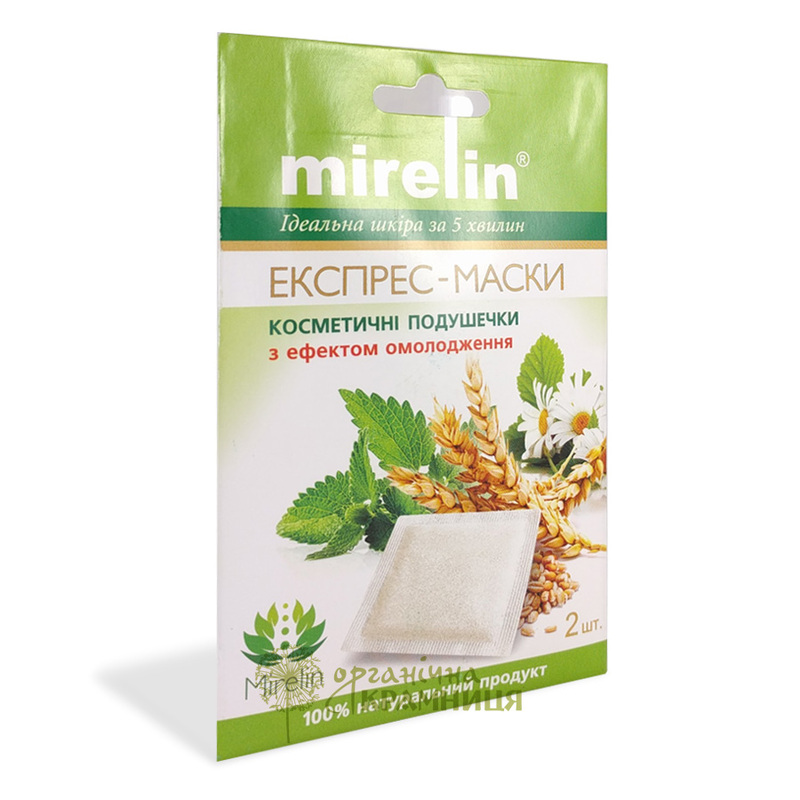 Express Face Mask in Sachets with Anti-Age Effect is produced by Ukrainian beauty brand Mirelin. This is an innovative skincare product for all skin types, it is suitable for everyday use. 100% natural and environmentally friendly product based on botanical ingredients and sea salt. Mirelin cosmetic sachets are formulated with sprouted oats and rye, chickpea flour, Jerusalem artichoke powder, coconut powder, sea salt, peppermint, and turmeric. These ingredients provide the skin with the nutrients it needs, produce a delicate cleansing effect, prevent premature skin ageing, fill your skin with energy and keep it feeling fresh for hours. Thanks to the high content of natural ingredients, these cosmetic sachets are a real salvation for all skin types. They stimulate skin cell regeneration, help to smooth out fine lines and reduce deep wrinkles, fill your skin with the energy and glow of youth, and produce an antioxidant effect that neutralises the harmful effects of free radicals. Directions. 1. Soak a sachet in water for 10–15 seconds. Knead it with your fingertips to release gluten. 2. Gently wipe the moistened skin of your face, neck and decollete with the sachet. 3. Apply the contents of the sachet to your skin, spread evenly, and leave for 3–5 minutes. 4. Rinse your face with warm water. Ingredients. Dried mix of sprouted grains (oat, rye), chickpea flour, Jerusalem artichoke powder, coconut powder, sea salt, medicinal herbs (peppermint and turmeric). Want to buy Express Face Mask in Sachets with Anti-Age Effect? Call us or submit your order via our web site! This stuff looks and smells just like herbal teas that my grandmother buys in a local drugstore. I haven't noticed any particular anti-age effect. I use these sachets to get rid of dark circles under the eyes when I don't have enough sleep. I pour hot water over them like I'm making tea, then squeeze them out and put in the freezer, and then close my eyes and put them on my eyelids.